Peggy Porschen, The Ivy, the colourful streets of Notting Hill - although undoubtably beautiful, when you’ve seen the same flower display on your Instagram page for the fifth time that day, you can’t help but eye-roll. As I’m sure you know, London is a biiiig ol’ place, however for us bloggers, it’s so easy to feel like you need to fit a certain mould and each begin rushing, cameras in hand, to be one of the first to get that #instagoals shot at the newest hotspot in town. Well, I must admit, I’m tired of it. I vouched from the beginning that I wanted to stay true to myself and be - me. Along this journey, I’ve noticed that I’ve shared less and less of my passions with you, things like my real love for food, travel, reading etc, and I’m keen to change that. With that in mind, for the third instalment of this series, we’re taking it across the pond. 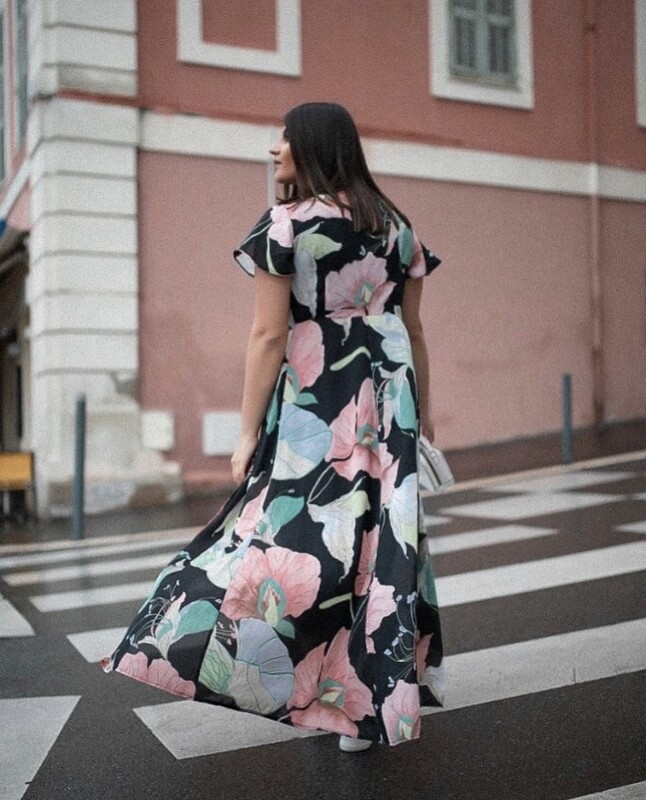 Two weeks ago, Zoe (my photographer / gal pal) travelled to Nice in the South of France. Somewhat overshadowed by megawatt Riviera neighbours like aristocratic Monaco, red-carpet Cannes and Champagne-soaked St.-Tropez, France’s fifth-largest city is often written off as a dowdy haven of retirees. Yet, Nice packs most of its neighbours’ lures — year-round sun, Mediterranean Sea, belle époque and Art Deco architecture — with the bonuses of an atmospheric old quarter, an evolving restaurant scene, the Riviera’s best museums and some high-profile public works. Place Garibaldi, the central square, has been pedestrianised and spruced up, while the formerly lack-luster port area is filling up with the city’s coolest restaurants and bars. And thanks to the new Promenade du Paillon, Nice has an alluring public park in its heart. A city for all budgets, Nice now buzzes with an energy and diversity that dare I say it, might even surpass its coastal rivals. Every layer of this city reveals something new and surprising. As a French city that only officially became French in 1860, there is something unmistakable about the mélange (hey, when in France!) of cultural influences so evident in Nice – from its eclectic building styles to its people and cuisine. 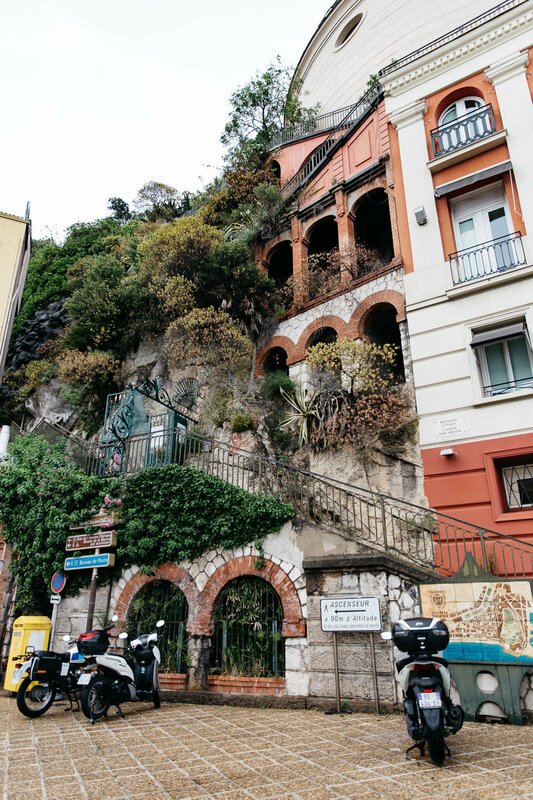 The Belle Epoque architecture of the mansions along the Promenade des Anglais – suffused with the sensibilities of their English architects – engages in a tug-of-war with the Italian flair of the buildings lining the narrow streets of Vieille Ville in the old town. French Riviera glamour is offset by the natural, rugged terrain surrounding the city, which has been cherished by centuries of artists, including Matisse and Chagall. 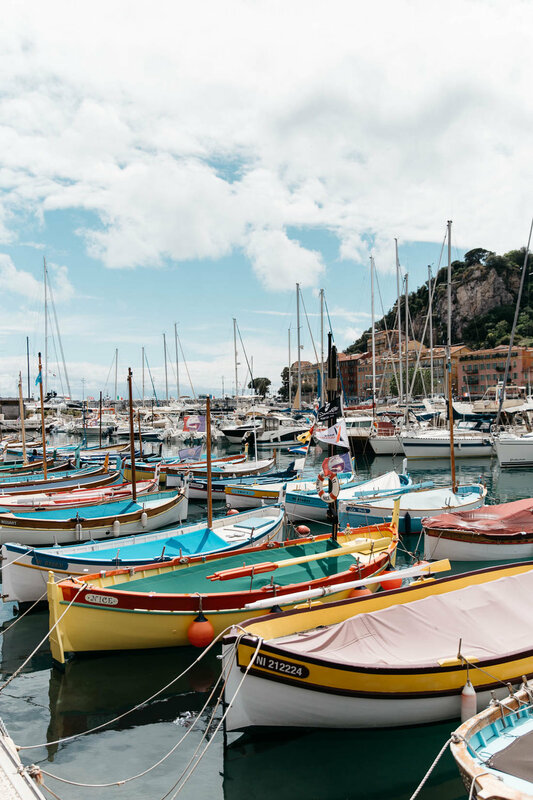 Although Nice is well known for its stunning, scenic coastline, it was the warm tones of the buildings, distinctive Mediterranean orange roofs and the unique shapes that stimulated me just as much as its more natural wonders. To me, the architecture stole the show and made for some of the most beautiful backdrops for the photography we wanted to capture. 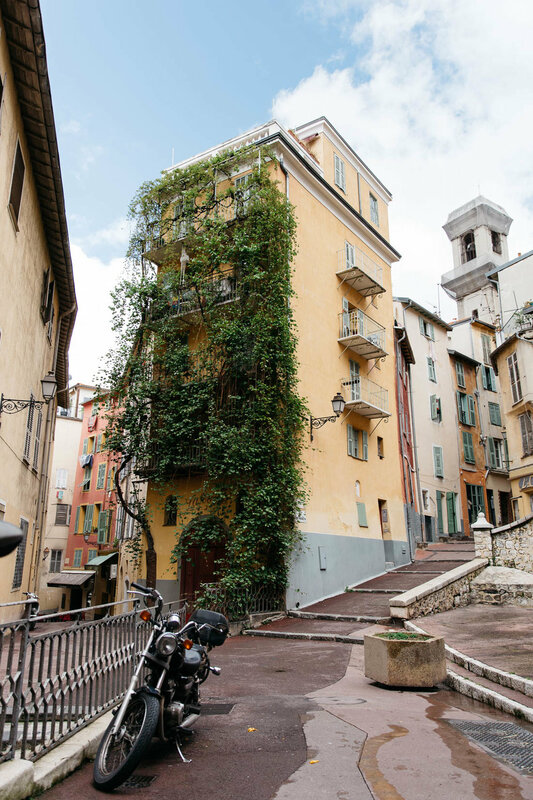 Vieux Nice - the Old Town of Nice is so enchanting and charismatic that I highly recommend spending a few hours just getting lost within the winding streets and admiring the many delis, boutiques and bars that the area has to offer. There are also some lovely antique markets in this area, like Puces de Nice where you’ll find thirty or so antique/bric-a-brac shops huddled together for you to peruse. Colline du Château - for the best views over Nice’s red-tiled rooftops, climb the winding staircases up to this wooded outcrop on the eastern edge of the old town. At the top, you’ll find plenty of green space and a wealth of stunning views over the old town, the port and inland to the Provençal hills all the way to the Alps. There’s also a very, very beautiful waterfall which’ll make for some great photos. Top tip: there’s also a free lift if you’re feeling a bit lazy / can’t take the stairs. The Cours Saleya - on market mornings (every day, bar Monday), the Cours is a barely-controlled explosion of colours and aromas thanks to regional delicacies (made on sight) and beautiful flowers sourced from the Provence. Taste the fresh vegetables, be tempted by the fruit and stop for a little “socca” for lunch; it’s chickpea flatbread, a local delicacy that you must try. Place Massena - with an elegant Italian façade of red tinged buildings, the main square is the symbolic heart of Nice, dividing the old town with the modern. Perfect for grabbing a bite to eat in one of the many outdoor cafes and watching the world go by. Because who doesn’t love a bit of people watching? The Port - if you want to hang out with the locals when the sun goes down, then the Port is the place to go. 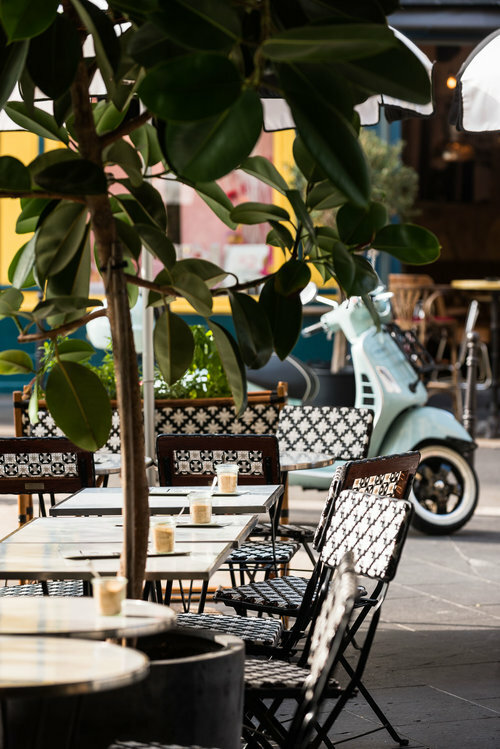 This part of Nice has recently undergone a bit of a re-vamp, lets say, and is now a main area for new and exciting cuisine, bars and nightlife. Another thing to add is that Nice is a favourite gastronomical city so make sure you bring your appetite when you come to Nice. It’s made for epicures. Starting at the Saleya market (which I mentioned above), top chefs from surrounding restaurants shop right beside tourists. 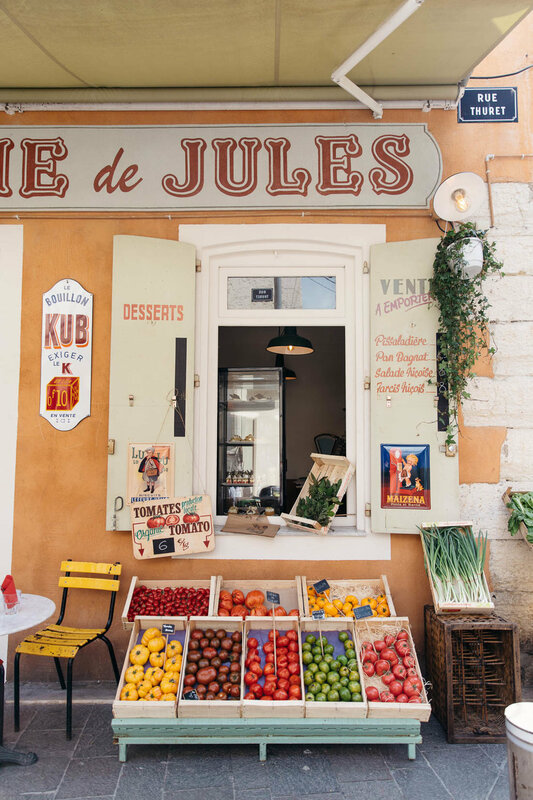 The city celebrates its ‘street snacks’, while its countless cosy bistros serve everything from hearty Provencal beef strew to true salade nicoise. Before all of the above, there was the sea, and the Mediterranean climate - twin factors that often make for a natural tourist magnet. However, for me, Nice has just as much character and charm as some of my very favourite European cities such a Rome and Paris but, dare I say it, for a fraction of the price and also nowhere near as tourist driven. Highly, highly recommend taking a trip and getting lost amongst the labyrinth old town or donning an iconic blue deck-chair when the weathers a bit warmer. P.S. Stay tuned, we’ve just booked a trip to Prague!